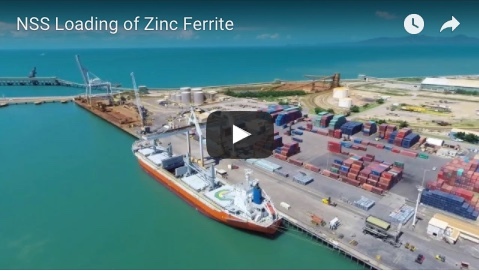 NSS has unloaded the first 500 containers to be used for zinc concentrate exports from MMG’s Dugald River mine after they arrived at Port of Townsville on Swire Shipping vessel Mia Schulte. MMG has invested in 1750 half-height containers valued around $11 million to export their product. A second shipment of 500 half height containers will arrive next week followed by another 750 units. 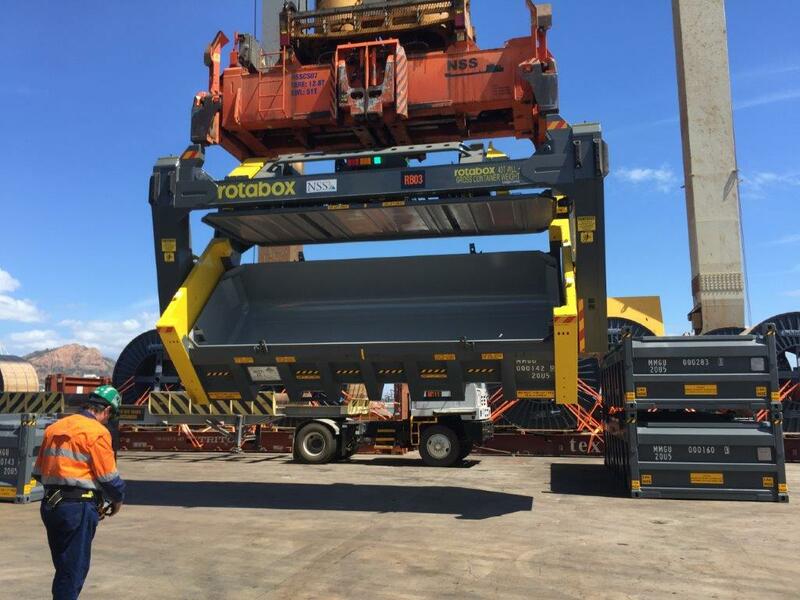 The half-height containers have been specifically constructed to work in conjunction with NSS’s Qube Rotabox fleet and will be used for the transport of Dugald River's export concentrates from mine to port. 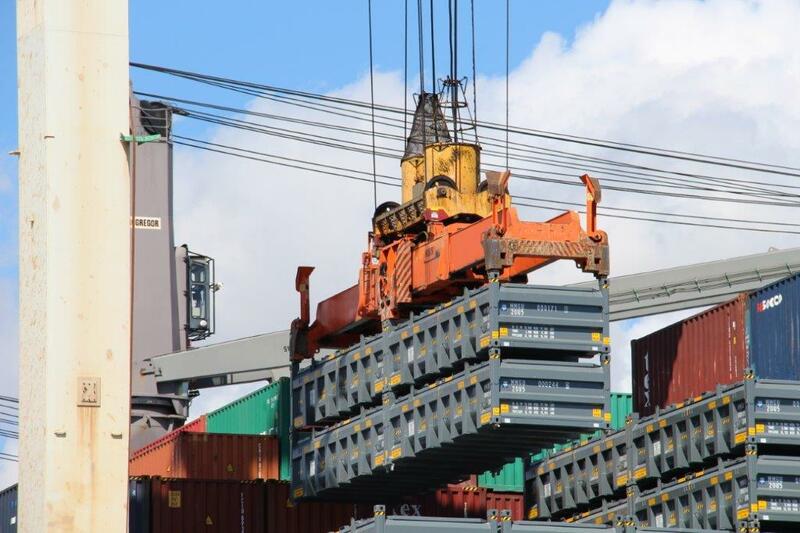 Northern Stevedoring Services, Wagners Transport, Aurizon and Toll Logistics have been engaged to transport the product and related cargo on behalf of MMG. Concentrate production at the north-west Queensland mine site is scheduled to commence later this year with forecasted annual exports of approximately 300,000 wet metric tonnes of mineral concentrates. MMG general manager Dugald River project delivery Pierre Malan said that the timing of the mine’s opening was expected to co-incide with a surge in zinc prices globally. “MMG approved this project in 2015 in anticipation that zinc prices would increase due to decreasing global supply on the back of key mine closures; and recent increases in the zinc price to a 10-year high have validated this decision,” he said. “Today we welcomed the first 500 half-height containers that will be used to export Dugald River concentrates; an overall A$11 million investment into this transport equipment. 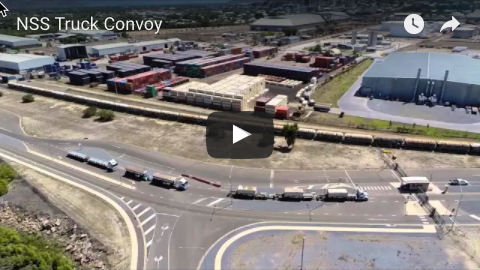 Port of Townsville Limited general manager business development Claudia Brumme-Smith described the arrival of the Mia Schulte with the first load of containers as an exciting milestone for MMG. “MMG’s high-grade operation will produce upwards of 250,000 tonnes of exports from the Port of Townsville,” Ms Brumme-Smith said. Pictured above - the new MMG containers being tested in conjunction with NSS’s new Qube Rotabox container tippling unit. Below - the containers are unloaded from Mia Schulte..